Fray Antón de Montesino (1475 – 1540), the Defender of Los Indios. Fray Antón de Montesino is best known for his historic defense of the Taino Indians and other Indigenous persons of the islands of the Carribean and around the world. He courageously spoke against the abuses done to the native peoples of the island in a famous sermon made in 1511. He was one of the first persons to speak out for defending human rights starting the fight around the world. In the years of 1494 and 1495 Cristóbal Columbus carried out military campaigns to force the Taínos (the original native inhabitants of the island) to be put under the rule of the Catholic Kings and to serve the Spaniards. The Taínos caught at this time were forced to work in the gold mines and wherever else their labors were needed. During the time of Columbus they were treated as less than human as if they were property instead of human beings. Even though Corona had declared in 1501 that the Taínos were free and that should not be mistreated, nobody listened or obeyed him. The Indians were considered below animals and without souls. 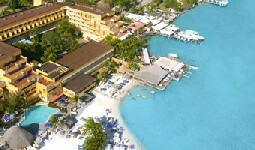 The Spanish continued to use and abuse the original inhabitants of the island. in 1503 Nicholas de Ovando, the abusive governor of the island, told the queen that if he did not use the Indians to work for them in the mines the island would become depopulated and all the business therein would be lost. Since the Kings were more interested in obtaining gold to fund the expenses in Europe, the abuse of the Indians was made legal by Corona. He continued to permit the Indians to be slaves for the Spaniards and to work the mines and the farms. In turn for this legalization, the Spaniards were ordered to teach the Tainos about the Catholic ways. The permission was given the 20 of December of 1503. Thus began the “Sistema de las Encomiendas en la Española (the system of Economics of Spain). This was the start of the true abuse of the Indians. The Natives who managed to live after serving as slaves in the mines or fields under forced labor were desperate and lost hope. Many committed mass suicides. Many died from disease and starvation. In 1508 when a census of Indians was taken. It found that there were only 60,000 of the original 400,000 left of the natives that were counted when Columbus came onto the island for the first time only sixteen years before. The loss of the labor force hurt the Spanish and their gold mining. It was decided to bring in the Indians of the Lucayas Islands to restock their supply of laborers. In time, because of the Spaniard’s cruel treatment of the indigenous peoples and King Fernando’s insatiable thirst for gold, these indigenous peoples also died off. The Friars arrival to the settlement started a change. Montecinos who was ordained in 1509, joined the first group of Dominican missionaries in 1510 who were heading to the “New World”. This was the state Fray Antón de Montesino found upon his and the Dominican order or Friars arrival on the island La Española. The Friars saw first hand the horrific treatment, the life of shortage and the forced labor of the Indians. Immediately the friars started to fight in favor of these victims to give the indigenous people rights equal to those of the Spaniards. Fray Pedro de Córdoba, head of the order, promised that Montesinos would make a full retraction in his next sermon. Of course, that did not happen. On the second Sunday from Advent, the 7th of December, Montesinos continued his attack on these atrocities in even harsher words. In 1512 Montecino returned to Spain and was sent to court. After great difficulties, Montesinos managed to see the King and was able to explain the terrible situation. The King held a town meeting, composed by theologians and jurists, to discuss and make a judgment on the case. The Government dictated the results in the Laws of Towns, regulating the work of the Indians yet still forcing them to work as before. The Spaniards and Montesinos continued to fight because these laws did nothing to resolve the situation. Finally, the Government of Cisneros Cardinal created “El Gobierno de los Gerónimos” to mediate between both parties and to create laws in favor of the natives. The laws were created but never applied. The plans of el Gobierno de los Gerónimos / Government of the Jerónimos failed. Montesino died in Venezuela on June 27, 1540. He never saw his dream of equality come to pass. He became the author of the first official reclamation of freedom and equality of the people of America. The exact circumstances of the death of Fray Antón Montesino, the Defender of Los Indios, is unknown. A Reenactment video of the Sermón de Montesinos en La Española video. 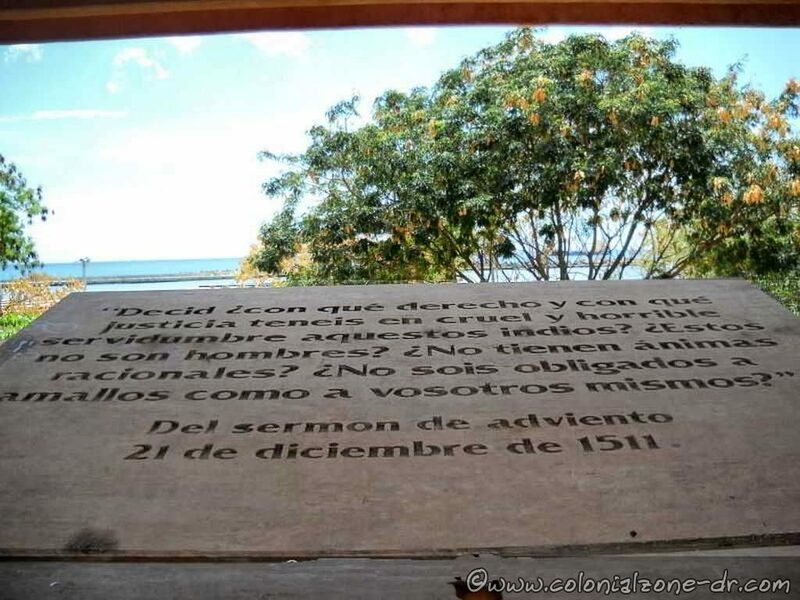 A video of the sermon the Fray gave in Santo Domingo December 21, 1511/ Sermón de Fray Antonio Montesinos predicado en la Isla La Española el 21 de diciembre de 1511. *The speech of Montecino influenced Bartolomé de Las Casas to get rid of his Native slaves and start fighting for their rights. *There is a Fray Antón de Montecinos Award from the Alumni Association of the University of Santo Domingo in New York City. This award is given annually to a Dominican professional who lives in the United States. This person must substantially enhance the reputation of the Dominican Republic through their work. The award includes a $5,000 cash prize and a replica of a statue of Montesinos. 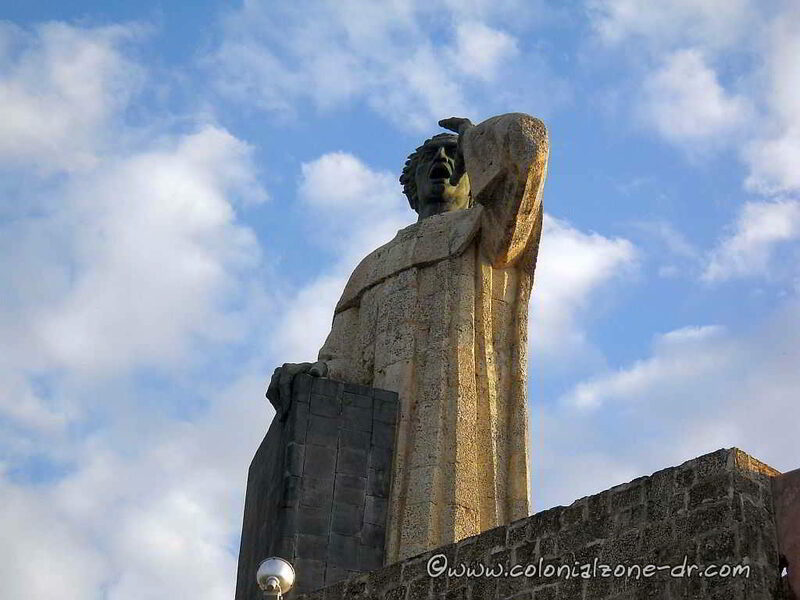 *The Friar and martyr returned to Hispaniola and continued to work there and in Puerto Rico. 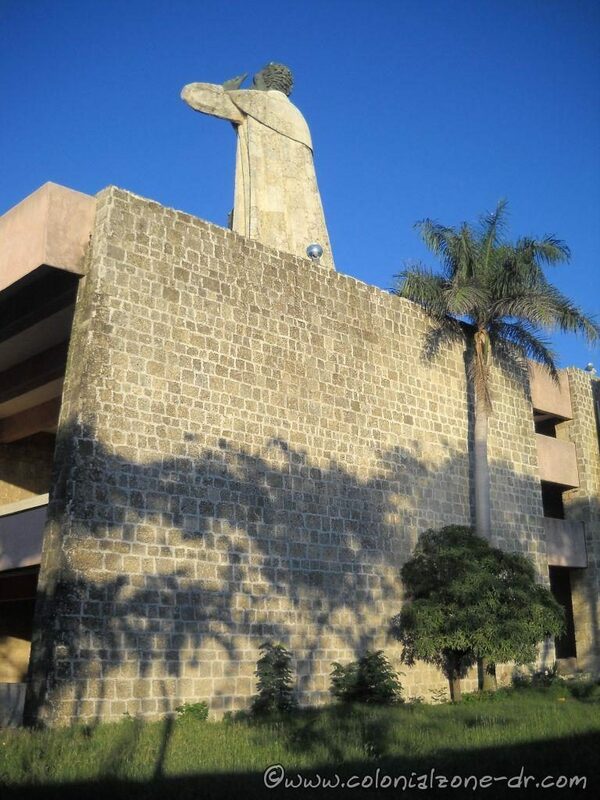 In 1521 he founded, along with other Dominicans, a convent in the town of San Juan Bautista de la Isleta, the basis of the first university in Puerto Rico founded in 1532. 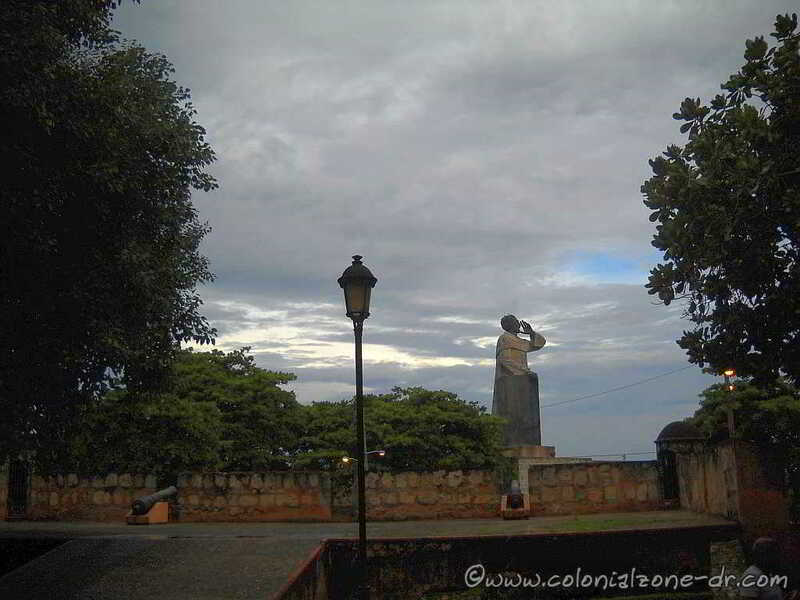 The stone and bronze statue found on the Malecon of Santo Domingo, Dominican Republic. 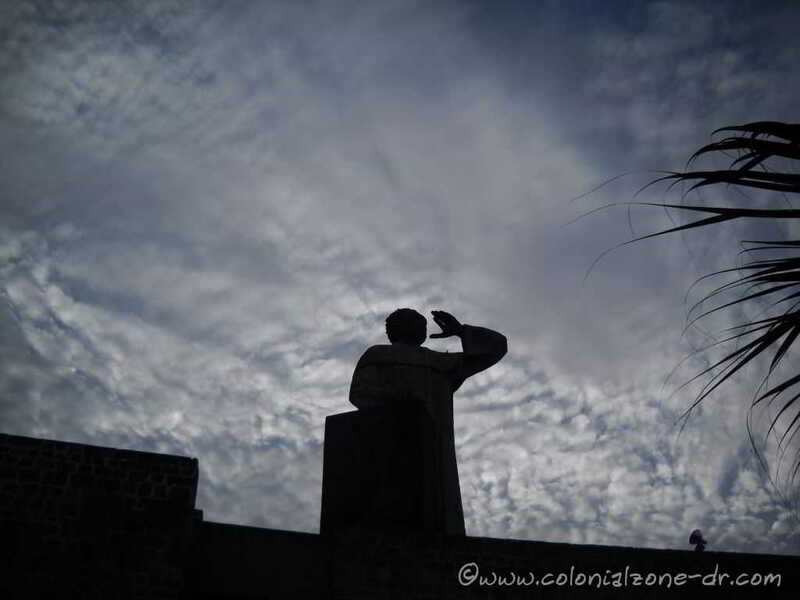 The monument is near the harbor on the far end of the Colonial Zone. 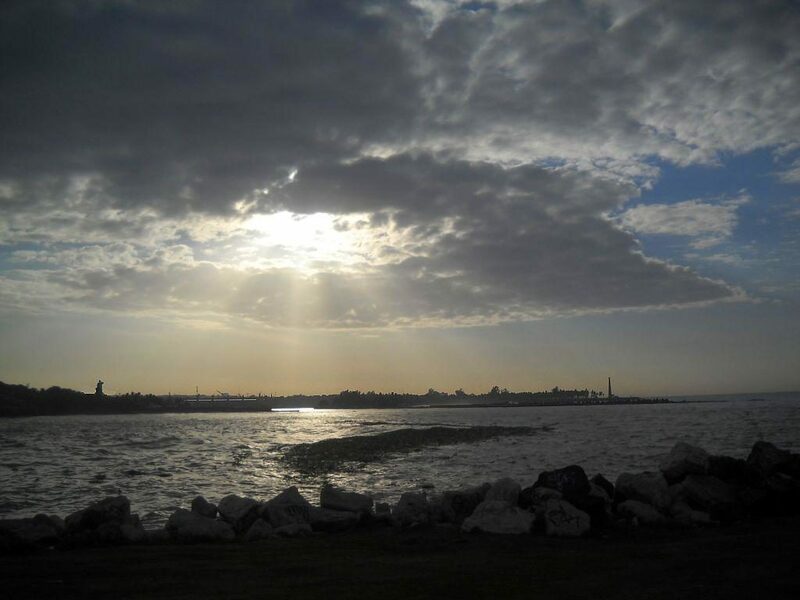 It can be seen looming in the horizon at the entrance to the Ozama River. The statue was designed by Mexican sculptor Antonio Castellanos. It is almost 15 feet (4.57 meters) tall. 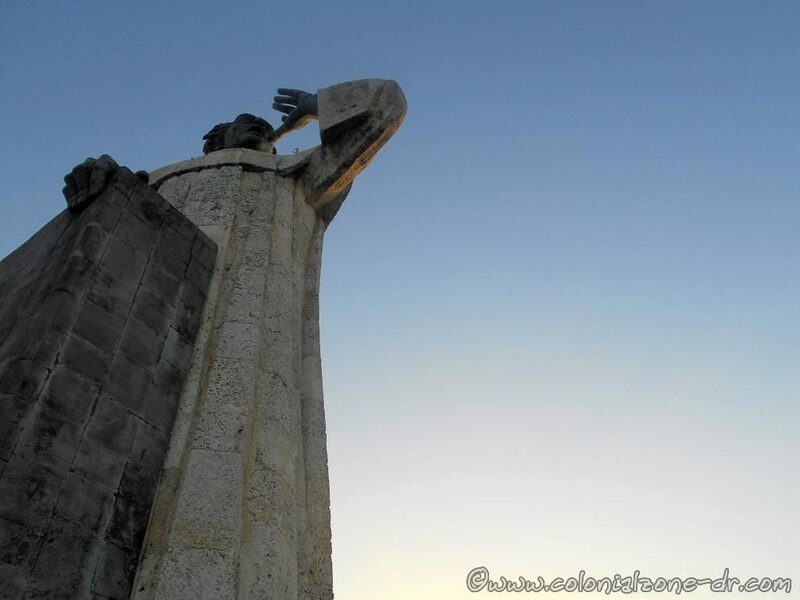 The statue was gifted to the Dominican people by the Mexican government when Lopez Portillo was president of Mexico. The monument to Frey Antón de Montecinos was inaugurated in 1982. 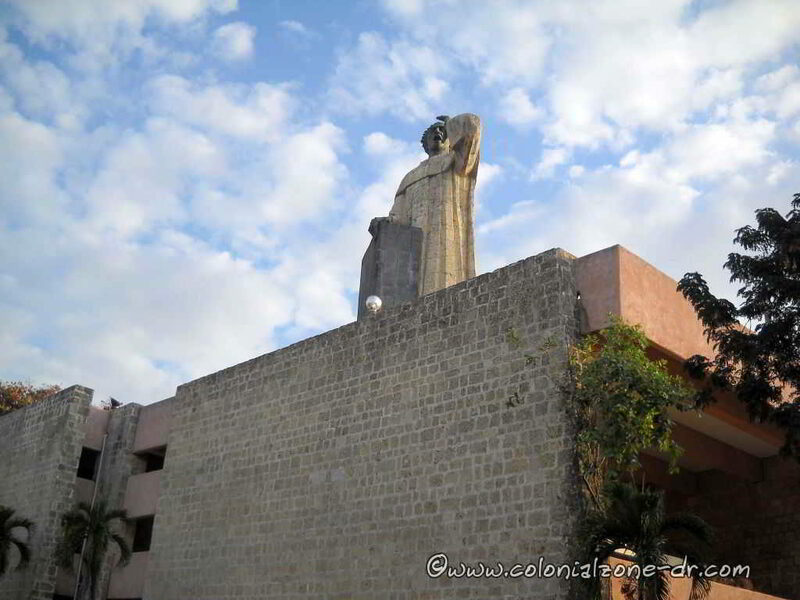 The sculpture of Montecinos rests on the upper deck of the building built of limestone and concrete. 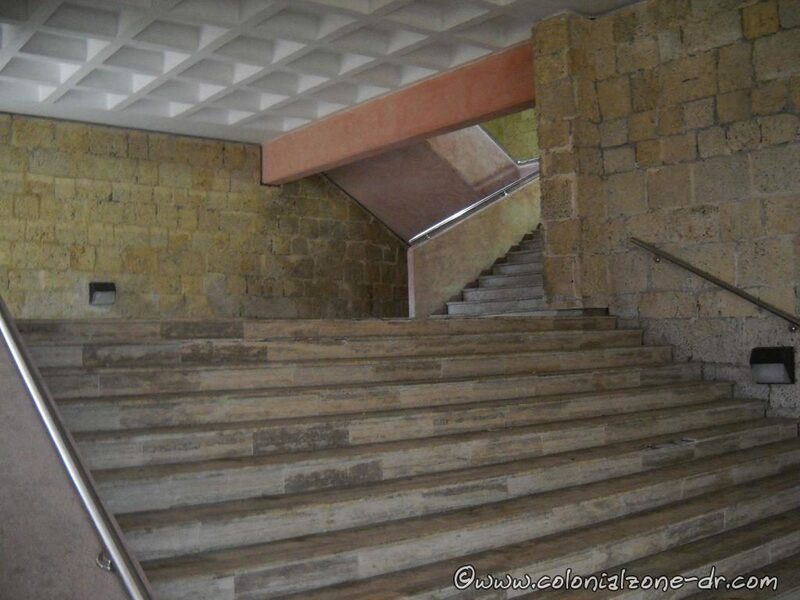 It was designed by architect Pedro Ramírez Vásquez. The monument, including the height or the statue, measures 30 meters or almost 100 feet tall. The original plan was for the structure to house a cultural center. That plan is finally being worked on and is being constructed now. The Marines guard the monument. 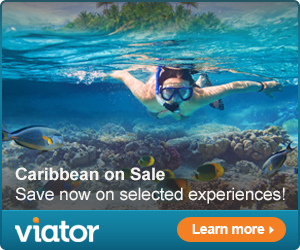 The view from the top of the structure shows the entrance to Rio Ozama and the Caribbean Sea. You can also see much of the Colonial City. Playa Placer de los Estudios. The locals call it Playa Placer or Playita Montecinos. There is a small beach beside the monument of Montecinos. 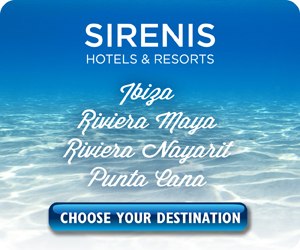 The original name of this beach is Playa Placer de los Estudios. The locals call it Playa Placer or Playita Montecinos. 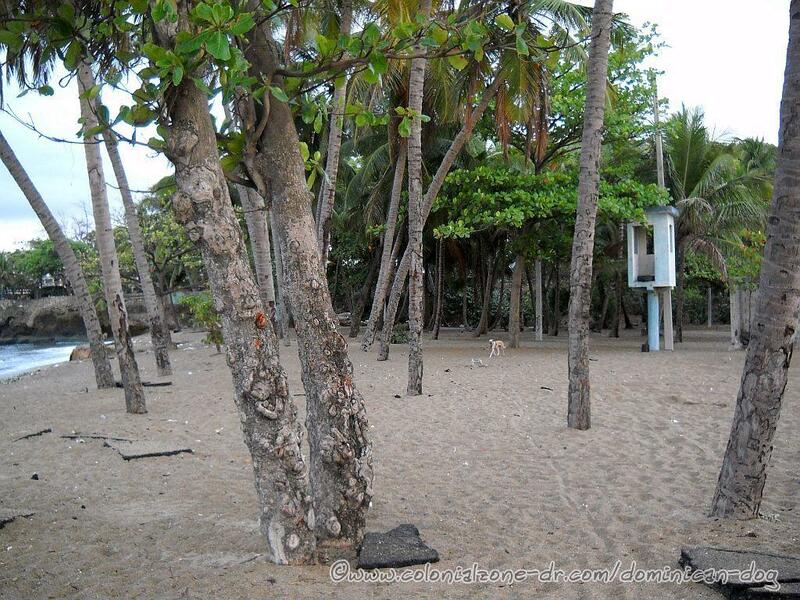 Part of Playa Placer is very shaded with large palms and there are also many noni trees. You can usually see baseball players practicing their running in the sand or people exercising or walking their dogs. 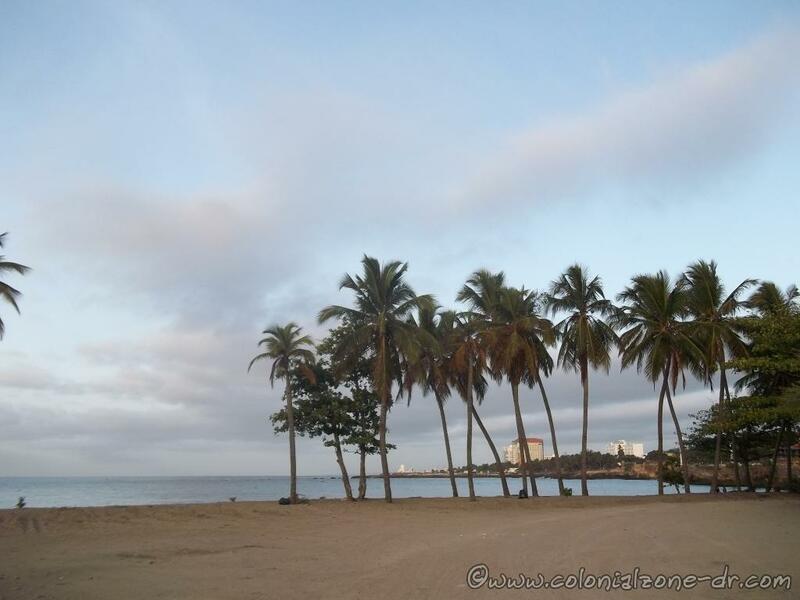 The beach area runs from the port of Santo Domingo to the coral cliffs that line the Malecon. There is a lot of runoff from the city of garbage and sewage. When there is any storm or hard rain it washes the trash down from the Rio Ozama and it accumulates here. It is so sad to see. It is not advisable to swim on this beach. 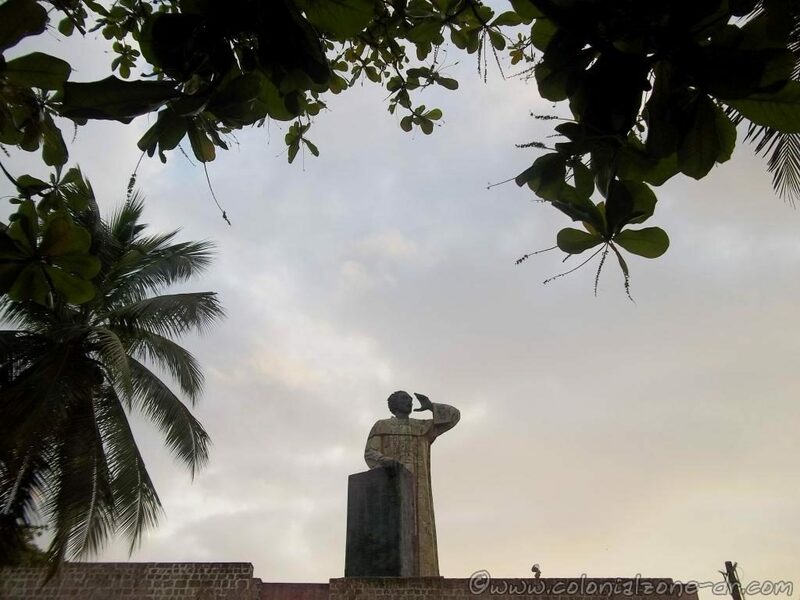 The monument honoring Montecino is located on Paseo President Billini where it changes to Avenida George Washington, better known as The Malecon, next to the Port of Santo Domingo on the Caribbean Sea at the mouth of Rio Ozama. Sometimes crossing the Malecon can be dangerous. Facing Montecion walk left along the Malecon and there is a pedestrian bridge at the port that crosses this busy road.